Michael S. Mitchell, “Bog Wallow Ambush on Braddock Road,” braddockheritage.org/, accessed April 24, 2019, http://braddockheritage.org/items/show/259. Michael Mitchell's "The Bog Wallow Ambuscade" is an in-depth account of the December 4, 1861 ambush by New Jersey infantry of Georgia cavalrymen on Braddock Road. Mitchell draws on participant reports, maps, official Civil War records and newspaper articles to tell the compelling story. He begins by describing area conditions, combatant strategies and events leading up to the ambush. He rounds out the account by following several key participants in the days and years after the ambush. 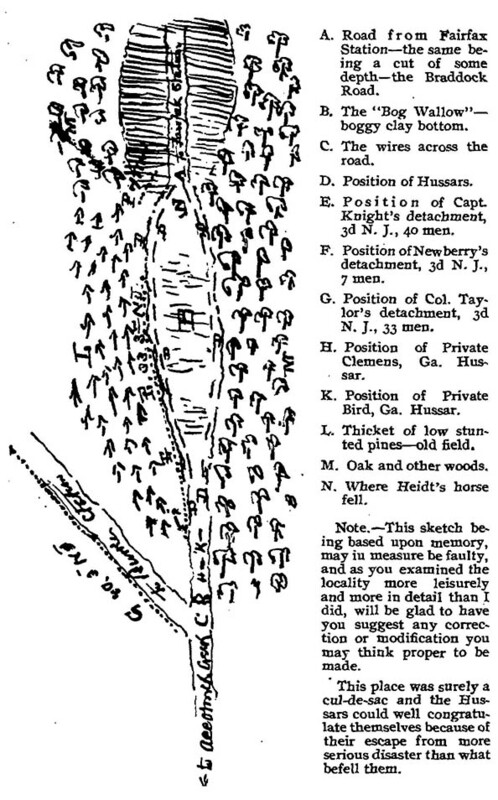 The earlier November 1861 skirmish at Oak Hill, which involved a few of the same participants and is described briefly, is presented in full detail in Mitchell's article "Oak Hill Kitchen Skirmish."